Magic Theatre believes in investing in young artists. Through our education and community outreach programs students are invited into Magic’s creative process of cultivate new plays, playwrights and audiences. Press the tabs above to find out more information on each program! 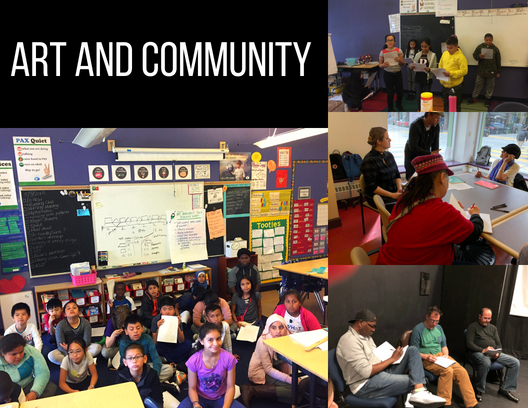 We are excited to launch a vibrant, meaningful educational writing program that helps community members ages 9-60, discover their voices and offer them a platform on which to share their work. weeks, and a free performance of Magic's current running show, so that they can start building their career as theatre professionals. 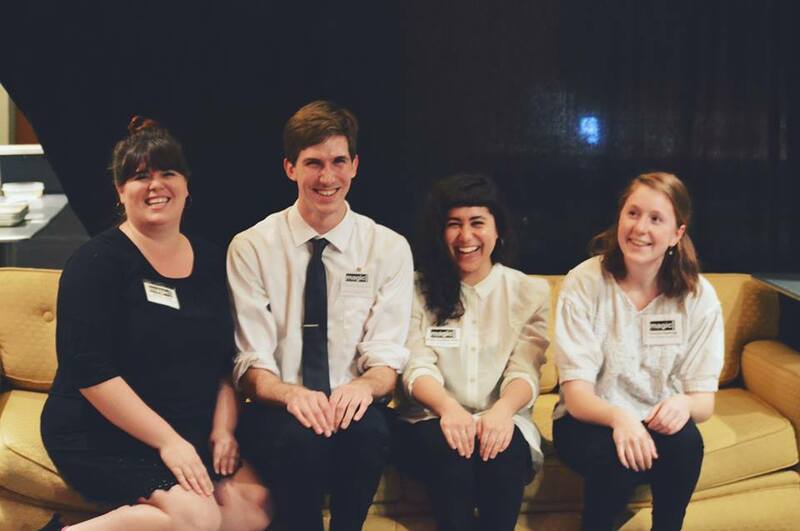 Magic Theatre apprentices and interns participate in every aspect of operating a mid-sized theatre company. From full participation, administrative, to production tasks, apprentices receive hands-on training and experience while working side-by-side with top theatre professionals. 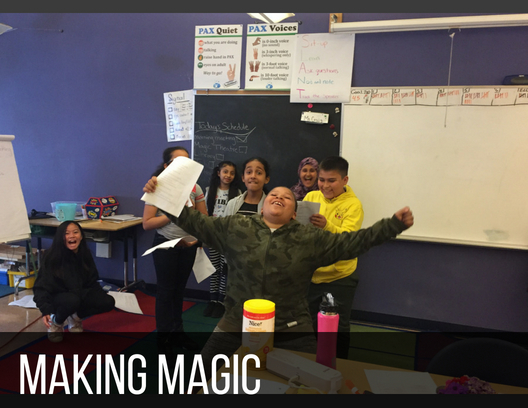 The Making Magic Arts and Community education pilot program serves community members ages 9-60. Magic’s curriculum focuses on mindfulness, self-esteem, legacy, and writing. Through partnerships with Tenderloin Elementary, Code Tenderloin and TNDC, we encourage students to make their essential voices heard. We are excited to launch a vibrant, meaningful learning experience that will empower young people and adults to discover their voices and offer them a platform on which to share their work by promoting an ever-expanding, trusting community. CHeck back in for info on upcoming workshop performances! 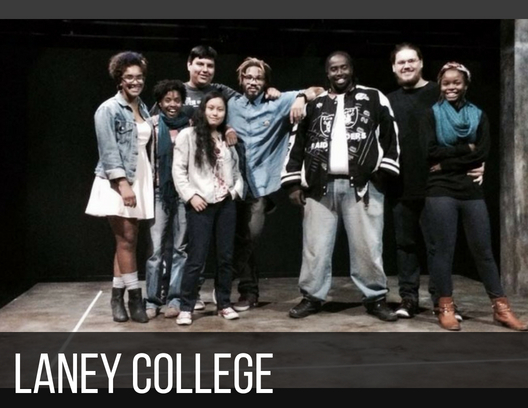 The partnership with the Laney College Theatre Arts Department/Fusion Theatre Project is multi-faceted. 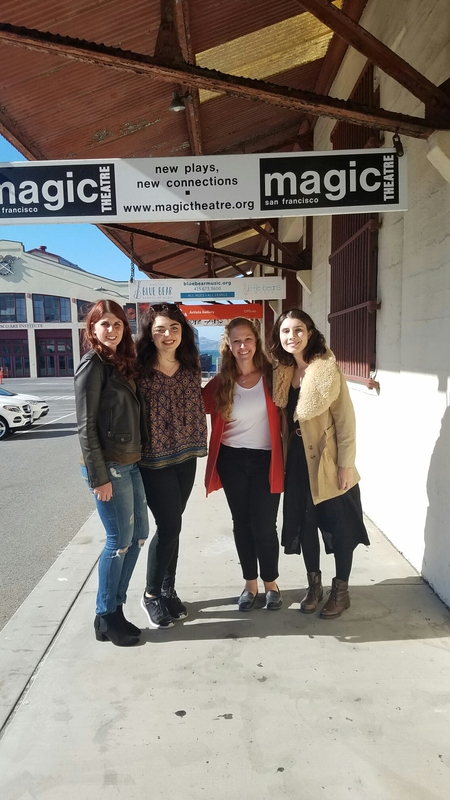 Students are invited to special events at Magic Theatre, including each production’s First Rehearsal and Opening Night, which are unique opportunities to network and learn from professional theatre artists. Students are also invited to view the production/rehearsal process during tech week, where they can talk to the designers about producing a show. Magic playwrights visit the students in class and lead a process-based playwriting workshop, where students learn about playwriting and get deeper insight into the artist's’ work. Magic Theatre then brings each of our shows to Laney College’s theatre located in downtown Oakland for a free public performance for students and the Oakland community, providing more access to our work. Finally, students are invited to apply for our competitive Apprentice program; a number of Laney students have gone through the program before beginning successful careers in theatre. I’ve had the incredible opportunity to move through all parts of the Laney program. The first production I saw at Magic was the opening night of Sam Shepard’s Buried Child in 2013, and I was astounded by the artistry. I knew after that performance, I needed to be a part of Magic; I attended the rest of the Opening Nights of the season and got a sneak peek behind the scenes at Tech Rehearsals. For me, one of the most invaluable experiences of the Laney/Magic partnership was the playwright workshops where award-winning playwrights came and spoke to our Script Analysis class about their process and the work. Later that season, I started volunteering, leading talkbacks for high school and college students. I was then invited to join the Magic staff as the Development Intern; and was accepted as the Literary Apprentice for the 2015-16 Season. Working for Magic has been one of the most career-affirming experiences of my life. I’ve worked with and learned from some of the most talented artists and designers in the world, which has advanced my career and skills in ways I could have never imagined. Many of my Laney peers have gone through the partnership program at Magic and have gone on to professional careers on stage and in production, including some dear friends who were cast in This Golden State by Luis Alfaro in 2015 and Sojourners by Mfoniso Udofia in in 2016. 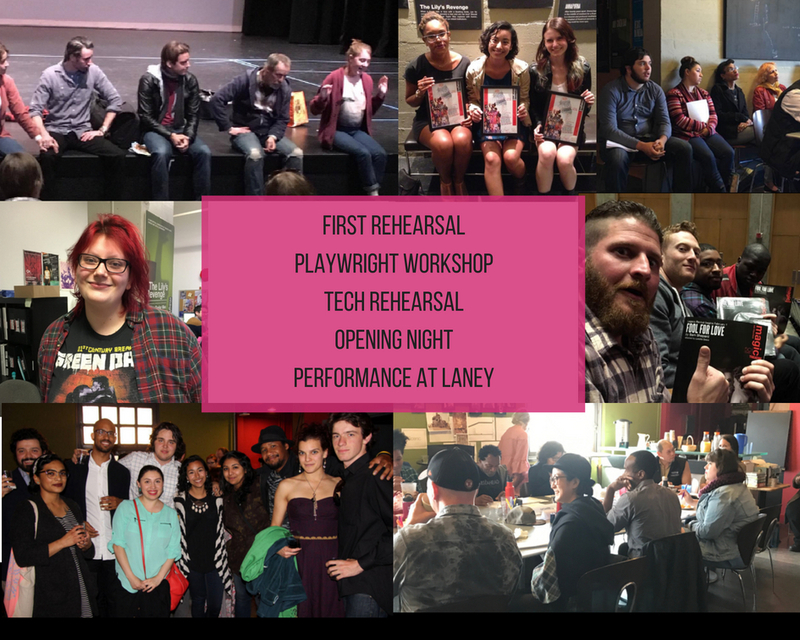 I now work professionally at a number of Bay Area theatres, and know I would not be where I am today without the opportunities afforded to me through the Laney Program. Now in its 51st year of continuous operation, Magic Theatre is dedicated to creative risk: we cultivate new plays, playwrights, and audiences and produce bold, entertaining, and ideologically robust plays that ask substantive questions about, and reflect the rich diversity of, the world in which we live. Magic believes that demonstrating faith in a writer’s vision by providing a safe, rigorous, and innovative artistic home, where a full body of work can be imagined, developed, and produced, allows writers to thrive. We believe that, by adding vanguard voices to the canon and expanding access to new theater-goers, we ensure the future vibrancy of the American theatre. These apprenticeships and internships will begin in mid-August 2018 and continue through June 2019. (Magic also offers summer internships June through August). A Magic Theatre apprenticeship is for you if you are planning a career in theatre and have an interest in new play development and production. Magic Theatre apprentices and interns participate in every aspect of operating a mid-sized theatre company, from full participation in staff meetings and strategy discussions to sharing in everyday administrative and production tasks, fund-raising, and script reading, contributing to both short- and long-term organizational endeavors. Apprentices receive hands-on training and experience while working side-by-side with top theatre professionals. The apprenticeship will be a rich, career-building experience, which will strengthen your craft, your resume and your network of professional colleagues. All Magic apprentices have the opportunity to forge unique relationships with the playwrights we support in residence. Full-season apprentices and interns will work primarily in their own departments and participate in all-staff events, and may be asked to work on special projects with other departments. 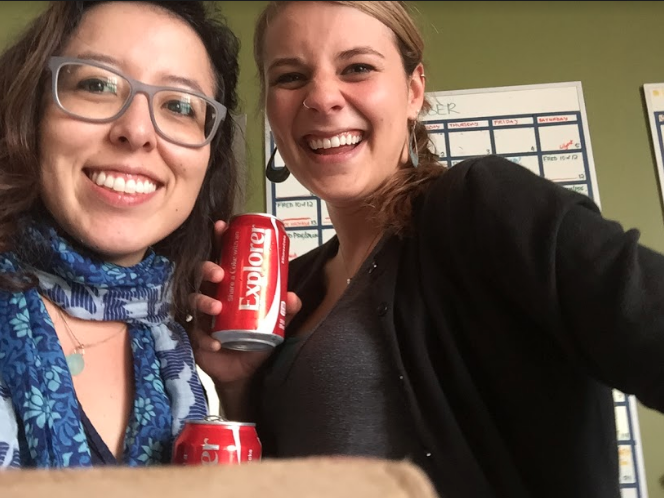 Summer interns will work with every department. While Magic is dark in the summer, every department has demands that must be met so that we continue to operate smoothly and are ready for the coming season. For both full-season and summer positions, we are looking for people who are full team players and thrive in a collaborative environment. All apprenticeships and internships at Magic Theatre offer the possibility of future transition to paid positions. To date, five apprentices/interns have moved into staff positions and seven have been hired to helm artistic workshops and readings. 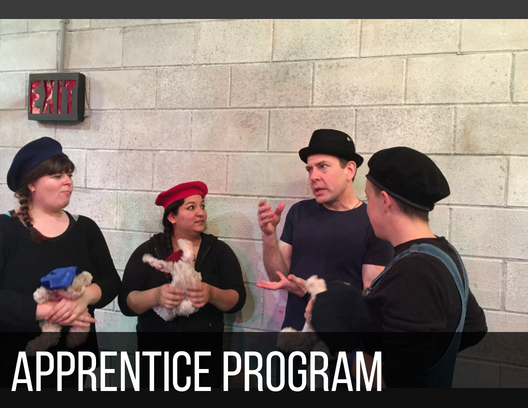 General Requirements Magic Theatre full-season apprenticeships and internships will begin in August 2018 (specific date to be determined) and end by June 30, 2019. These are full-time positions that occasionally require substantial weekend and evening time, especially during productions. Some flexibility may be possible (to be arranged with the apprentice’s or intern’s department head). Applicants for all positions must be at least 18 years old. Social networking, IT, internet, and video skills are strong assets. For all positions, good writing skills and computer competence (word processing and spreadsheets) are required. Apprentices and interns must be able to thrive in a work environment that is characterized by changing priorities and demands. Apprentices and interns receive a small stipend ($250 per month for 10 months for apprentices, $125 per month for interns). Opportunities to augment income with evening and weekend front-of-house assignments may be arranged for those with financial need if work assignments permit. Housing is not provided nor arranged. Magic will pursue supplemental financial support for superior applicants who would otherwise be unable to pursue these positions, but support cannot be guaranteed. Specific requirements for individual apprenticeships are indicated in the descriptions of those positions.